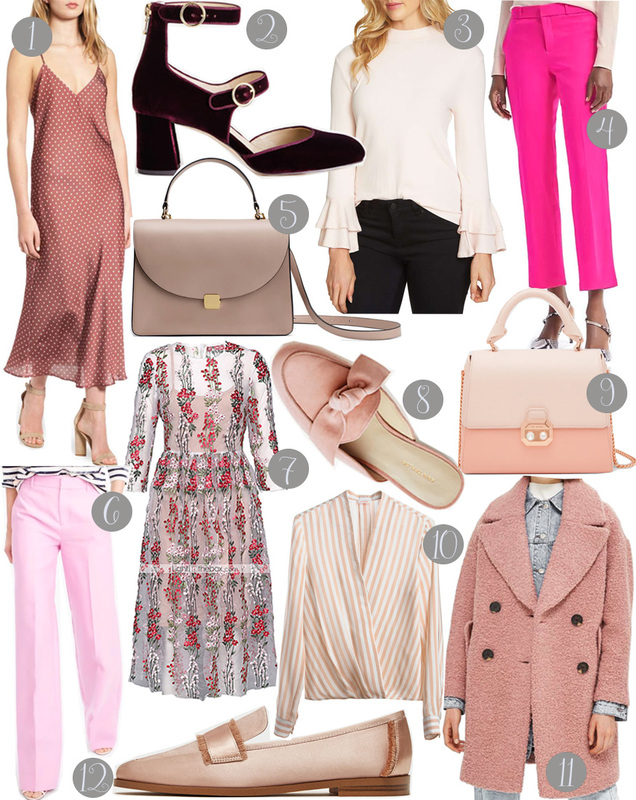 Today I'm thinking of fall with my favorite color no matter the season - PINK! The pink trend isn't going away any time soon, and I couldn't be happier. It's the new neutral and can elevate the simplest of outfits. I plan to use dustier shades, deeper tones and orangier interpretations like the ones shown above as the temperatures (and calendars - wow happy September!) transition into fall.